Home > Tech > Web Development > Web Hosting > Rochen Hosting Reviews: As Speedy As They Claim? Need a reliable and fast web host for your website? There are an overwhelming number of web hosting services out there; it’s really difficult to weed through the pack. Rochen (pronounced Rockin’) is a top performer compared to most of the more recognizable, “bigger name” web hosting services. 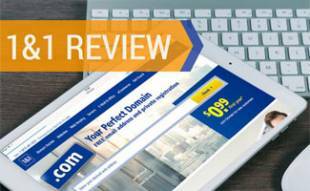 We’ll tell you why with our in-depth Rochen Hosting Reviews, where we’ll explore what they offer for both shared and dedicated hosting. The following key features and pros/cons apply to both of Rochen’s shared and dedicated hosting services (unless otherwise noted). You’ll see the differences between the two options in our Pricing & Tech Specs section just below our Pros and Cons table. 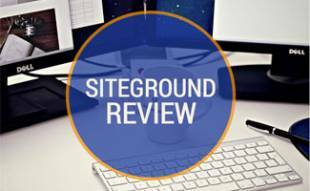 Supports more than 150 different applications, including WordPress, Joomla, Drupal and Magento. Owns and has complete control over all its servers (some hosting services lease their server equipment from third parties). Holds Green Mountain Energy Certificate for environmentally friendly technology and practices. No overselling with shared hosting services (the account limits, i.e. bandwidth, disk space, are as promised, unlike many other shared services that stretch resources too thin among too many users). Rochen Vault restores your sites, files and databases quickly and easily. Try Rochen with a 30-day money back guarantee. Rochen often has time sensitive coupons, find and share them here! 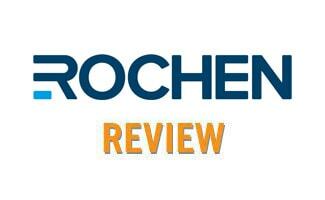 We highly recommend Rochen. In our opinion, Rochen’s higher price tag is worth it if you want excellent performance (speed and uptime) for both shared and dedicated environments. 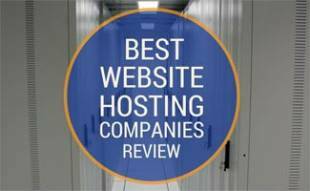 Check out our annual web hosting comparison to see how Rochen stacks up against more than 25 of their top competitors. 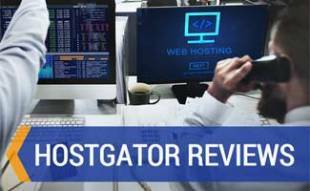 What are you looking for in a web host? Unfortunately Rochen’s service leaves a lot to be desired from a company which needs a serious web host. It’s fine if you have a basic, static site which doesn’t change and you don’t monitor their uptime. However for a serious business I wouldn’t touch it with a bargepole. We hosted three sites with them and the uptime was appalling, primarily through SQL/database errors. Then when things did go wrong they didn’t have daily back ups in place (who doesn’t do daily backups???) and had to reinstate a three day old site. Now, that’s fine, like I say if you have a static site, but serious businesses don’t have static sites these days they are constantly updated with blogs, news, products, feeds etc. Rochen failed us on so many occasions. What they are good at is Affiliate Marketing and getting their customer to recommend their friends – they’ll take your money even if the service you require isn’t appropriate to the level you need. Proceed with caution any serious business owners out there that need a serious host. We have websites with Rochen, but have experienced problems with the HORRIBLE situation where several of our readers email to say that our website is BROKEN and displays: “Error establishing a database connection”. Tonight two websites have crashed and a third is unstable. Looks shoddy and unprofessional. Our IT guy says Rochen is good and we trust him. But at 0245 pam in the morning when someone telephones from a different timezone telephones and wakes me up to say they cannot access our website (and we are not willing to wake out IT guy up), this is a bad sign that Rochen is a failure. Twice this has happened now. Third time and the incredible hassle of moving websites-webhosts may happen again. Trouble is, who out there can you trust? One of the best ever company. I have had bad experience of many service provider before i switched to rochen. they never disappoint. they are the best. they should be crowned no 1 company in web hosting. – a passionate ardent customer of rochen’s service standard. We have Rochen and have nothing but amazing things to say about them! Great customer service, very little issues whatsoever! I highly recommend them and glad to see they’re your top pick. By the way, had no idea the company was pronounced “rockin'” ha!